The Lord of the Rings is my favourite book, and I've decided that as I re-read it this summer, I'll write a chapter-by-chapter commentary. If you're also casting about for summer reading, I hope you'll read it along with me and leave your own thoughts and comments. My goal is to shine a little light on details in the book that might otherwise go unnoticed. Although The Lord of the Rings is a much read and much loved work, there's a surprising gap between what people see in the book and what Tolkien actually wrote. Our understanding of it is tinted by everything that has come afterward: illustrations, movies, games, and indeed the entire genre of fantasy literature as it evolved in Tolkien's wake. As I've written before, this legacy can lead to powerful misreadings. Discovering Middle Earth in its pristine state means unlearning 60 years of interpretations and expectations. ...any reader whom the author has (to his great satisfaction) succeeded in 'pleasing' (exciting, engrossing, moving etc. ), should, if he wishes others to be similarly pleased, endevour in his own words, with only the book itself as his source, to induce them to read it for literary pleasure. 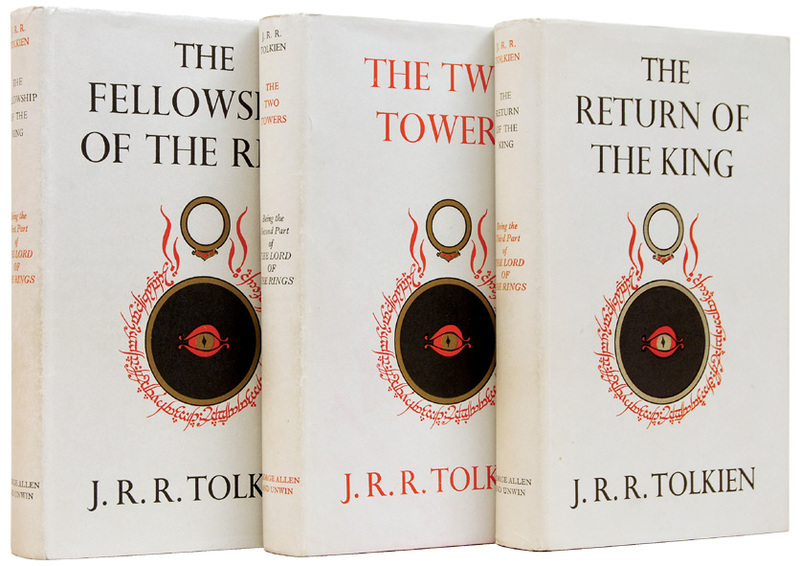 Tolkien wanted the book to be enjoyed not dissected -- even citing Gandalf’s warning to Saruman that “He that breaks a thing to find out what it is has left the path of wisdom.” (Letter 329, Letters of JRR Tolkien, 1981). Looking forward to it. I only read FotR, and only recently - thought I had tried to start it several times before over the last 33 years or so. Frankly, it was a struggle to get through. Pages and pages of descriptions of hills and lunches, and when the action finally comes, JRRT skips right through it. Reminded me of Master and Commander in that sense. 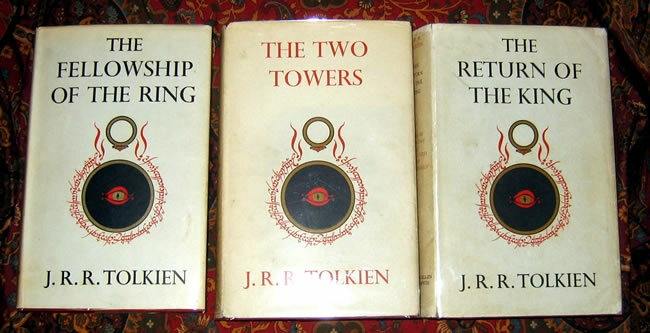 Maybe you can inspire me to start reading the Two Towers (which was my favorite of the films)! "Pages and pages of descriptions of hills and lunches" is pretty apt. Hills and lunches were pretty important to the professor. And I think you're also quite correct that Tolkien zooms through the action - I suspect that he didn't like violence too well. So for those reasons, I think you're not alone is having trouble getting through the books - I have several friends who have played D&D since childhood but have never read the LotR. For me (and this is a theme that I'll hit often in these posts), the books are best enjoyed when approached as an experience in world building. It's a slow process. But beautiful. I haven't read them since I was 10 years old, I remember all the girls cracking open babysitters club and the boys were mostly into hardy boys when being forced to read. I look forward to your dissection and analysis of the 3. I remember fellowship being a chore especially the Tom bombodil(?!) parts. Hopefully I can tear you away from your books long enough to get a game in. I'm seriously considering Oldhammer USA this year, if I'm not on strike and I'd hate to be rusty. And I need revenge on krapfang and his damned catapult. I suspect that most people who tried to read the Fellowship but couldn't finish it would say that they gave up in the chapter about Bombadil. Still, better than The Babysitters Club. It's a disorienting experience to go from the movies back to the books. That's part of the reason I want to write these posts! Being a confirmed Hobbit-head who regularly rereads the Silmarillion, the Hobbit and LOTR (in order) I look forward to following along. I think I read somewhere that Christopher Lee re-reads the LOTR every year. Well this is ambitious. Although LotR is a tremendous work it has many imperfections, and I would argue the cultural accretions you listed improved the world far more than they detracted. Chip them away and the remains may be less than the modern reader hopes to find. The gap between the text and the popular image is at least partly caused by people selectively remembering the "good parts," and justly so. If I was in a bad mood I might even argue for LotR as the spark that ended up being less important than the fire. I have the suspicion that a lot of people would agree with you. This sounds like a massive project - but well worth doing. I'm really excited of what youar committing yourself to do! I'll be following your posts avidly!